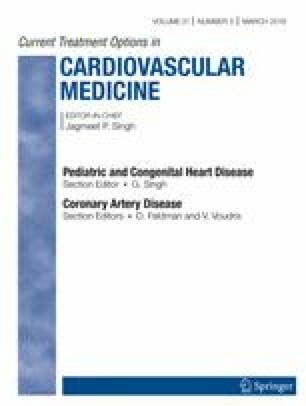 Advances in Management of Stable Coronary Artery Disease: the Role of Revascularization? Coronary artery disease remains the most common cause of death worldwide. In patients with biomarker-positive acute coronary syndrome, the combination of guideline-directed medical therapy with routine revascularization is associated with improved outcomes. However, the role of routine revascularization in stable ischemic heart disease, in addition to medical therapy, remains a matter of debate. In this review, we aimed to describe the role of revascularization in stable ischemic heart disease. Revascularization is indicated in patients with stable ischemic heart disease and progressive or refractory symptoms, despite medical management. When guided by ischemia presence, revascularization has failed to show survival benefit, compared with medical therapy alone in multiple clinical trials. On the other hand, revascularization guided by coronary lesion severity, assessed by FFR or iFR, has been shown to offer survival benefit and improvement in symptom severity. PCI-revascularization of unprotected left main disease is feasible with comparable to surgical approach outcomes. Clinical decision to perform revascularization in stable ischemic heart disease necessitates a heart team approach, and no simple algorithm can guide this process. Further studies are required to assess the benefit of routine revascularization, in combination to medical therapy, in this population.